Home > US License Plates > US Govt. 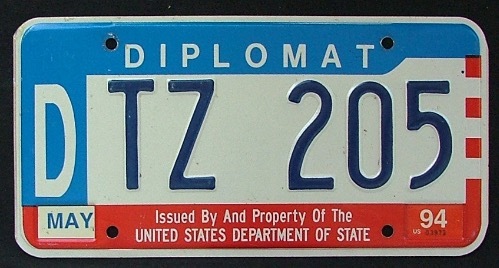 Diplomat US Department of State "PERU"
Diplomat 1994 US Department of State "PERU" License Plate in VG condition. ALL plates on this site are for collection or display purposes ONLY, not for use on a motor vehicle. These are a great addition to any collection. All prices are in US Dollars. Any questions please ask. More Items in US Govt.